If you’ve watch any big summer blockbuster in the last few years chances are you’ll have seen a massive city-levelling apocalypse. Particularly guilty of this cinematic trope are Marvel and DC movies. Man Of Steel climaxed the a super-powered punch-up that left Metropolis in ruins, while the finale of Avengers: Age Of Ultron saw an entire city lifted into the sky. Call it the Roland Emmerich effect. 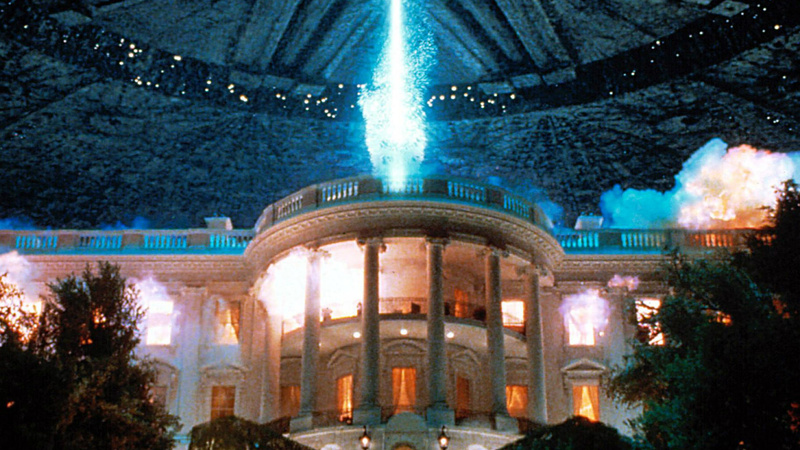 Ever since that White House obliteration in Independence Day, Hollywood has been imitating the German director. Loaded quizzed the filmmaker about this particular trend during the press rounds for sequel Independence Day: Resurgence – and he revealed that a big name director foreshadowed him getting ripped off. “I felt that when I saw some of these Marvel movies or DC movies from Warners. I felt, ‘oh my God that looks familiar to me’. Why is Superman bashing so many buildings?” Emmerich said when discussing the similarities between superhero movies and his own. Don’t count on Emmerich ever making a superhero flick of his own. He’s never been sold on the idea of men and women in tight spandex fighting crime. “Very early in my career I was offered one or two of those, but it’s not my kind of film,: he explained. “I grew up in Germany and we weren’t big on superheroes to begin with – they didn’t work as well as everywhere else in the world. Only now they work very well. Watch Emmerich discuss watching the first Independence Day with Bill Clinton, his plans for a Stargate reboot and more with Loaded below. Independence Day: Resurgence opens in cinemas on June 23.